A collection of tools to streamline and accelerate the design and development of user-centered software by integrating Lean and Design Thinking with Agile processes. Before you start building solutions, ensure that your team is clear on the problems you’re trying to solve, who you’re trying to solve it for, and how you will measure success. 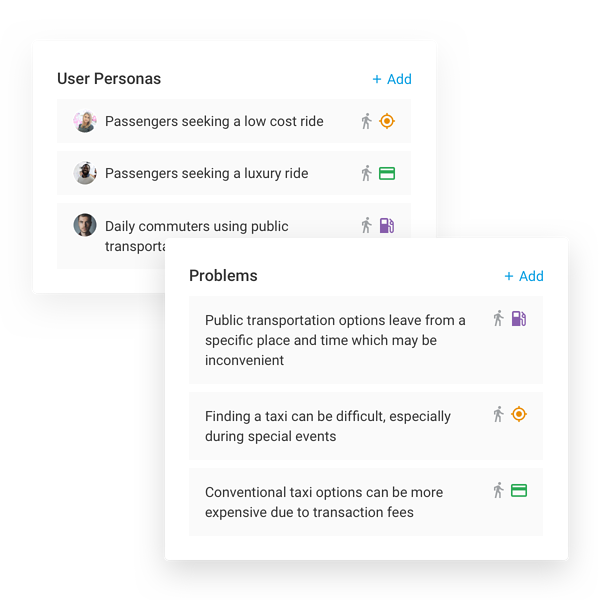 Map out how your users' get their jobs done, identify key inefficiencies and pains, and come up with ideas to improve their lives. 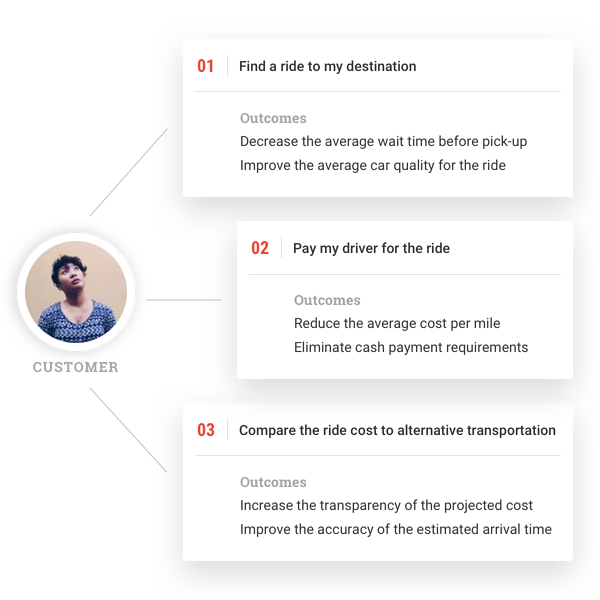 As you learn about your users, identify the key outcomes and KPIs they care about. These are the metrics they use to measure success as they get a job done. Engineers cannot build something they don’t understand. 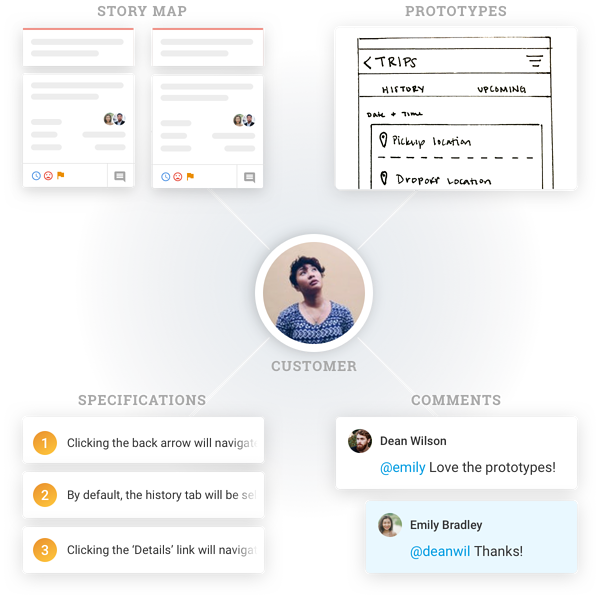 Annotate your high-fidelity prototypes with interaction and business rules to describe exactly how the software behaves underneath the user interface. Align your team around user needs and outcomes. 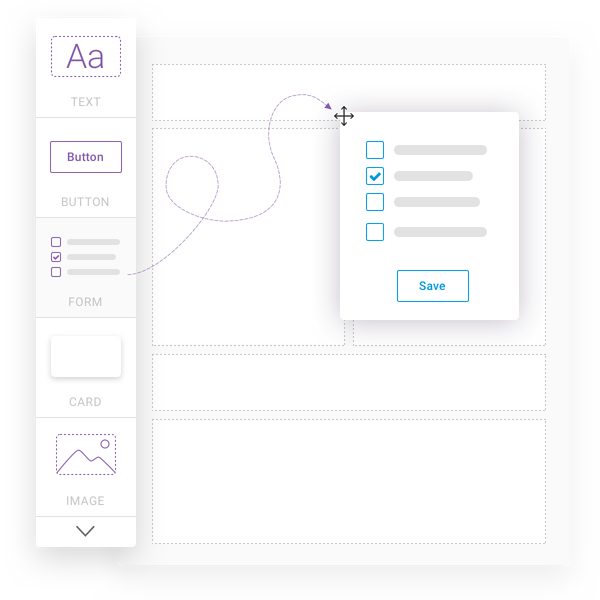 Add details, tags, photos, and link to prototypes and specifications to build a shared knowledge base. Building great APIs requires alignment between UI engineers, back-end developers and architects. 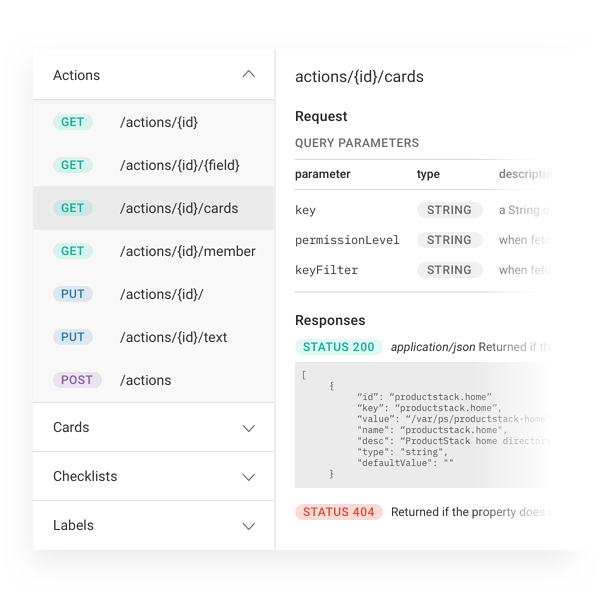 The API Modeler makes it easy for teams to collaboratively design API endpoints and JSON representations, without writing a single line of code. 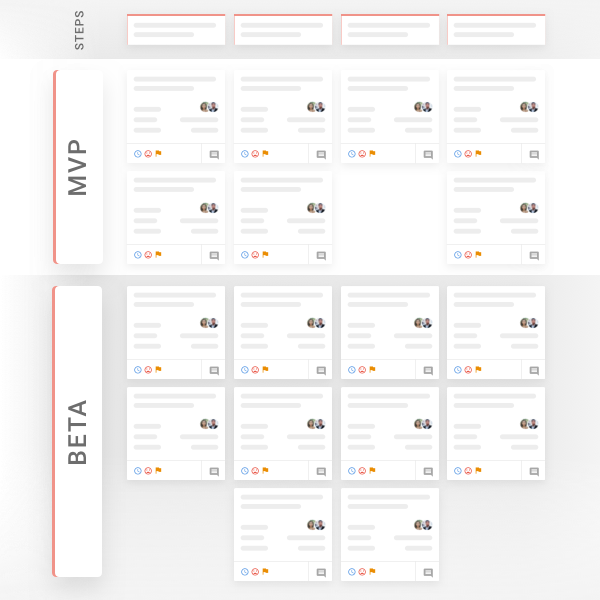 When the team is ready, the ProductStack Platform generates the scaffolding, mock APIs, and unit tests to accelerate the development process. APIs are only useful if the developers can find them and then use them. 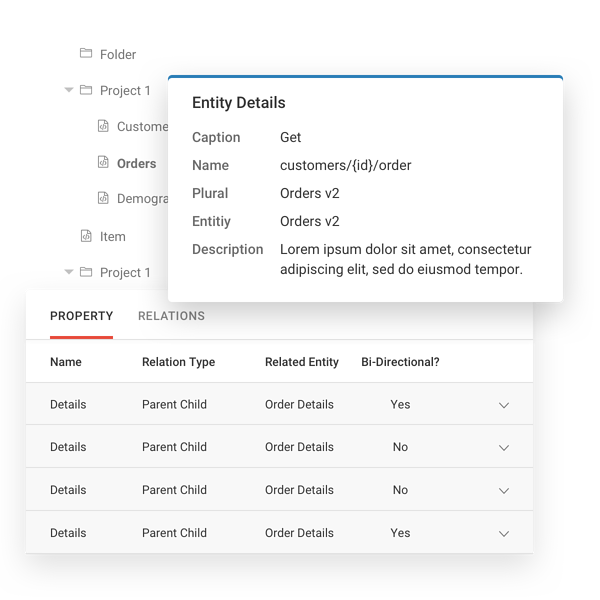 Based on the API specifications, the Platform automatically builds rich, interactive documentation that your developers will love. 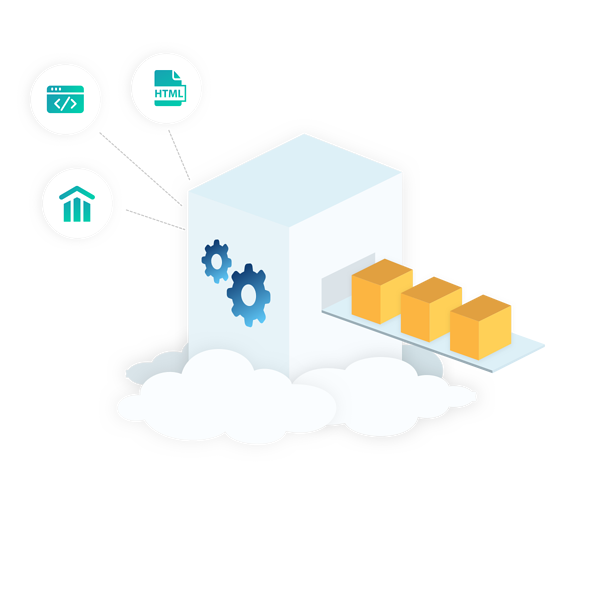 The Domain Modeler tool allows developers, product managers, and subject matter experts to collaborate and define the underlying business domain. Based on this configuration, the Platform generates the database schema, data access layer, unit tests and rich documentation. Modern UI development has become increasingly complex with new UI frameworks launched frequently. 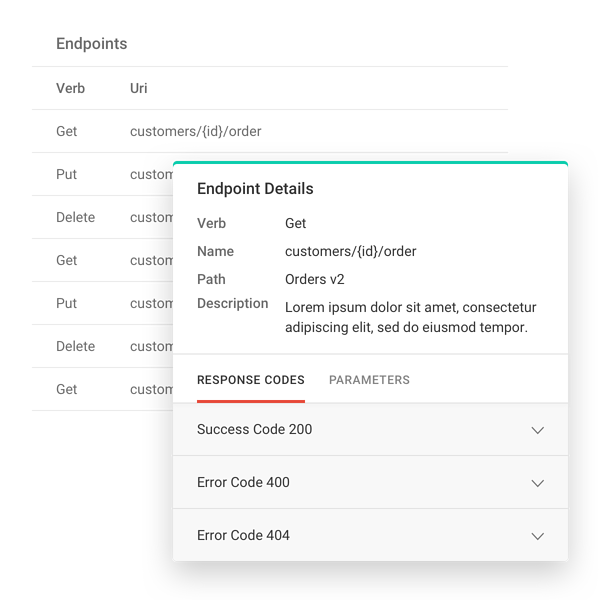 The UX Modeler makes it easier to build modern apps by giving a drag-and-drop interface to design the UI. 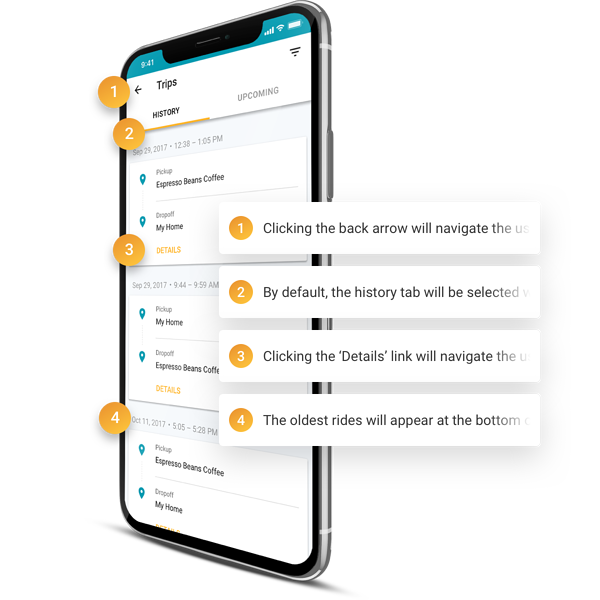 Based on the configuration in the UX Modeler, API Modeler, and Domain Modeler, the Platform generates a significant portion of the application at the click of a button. The end result? High-quality code, faster! 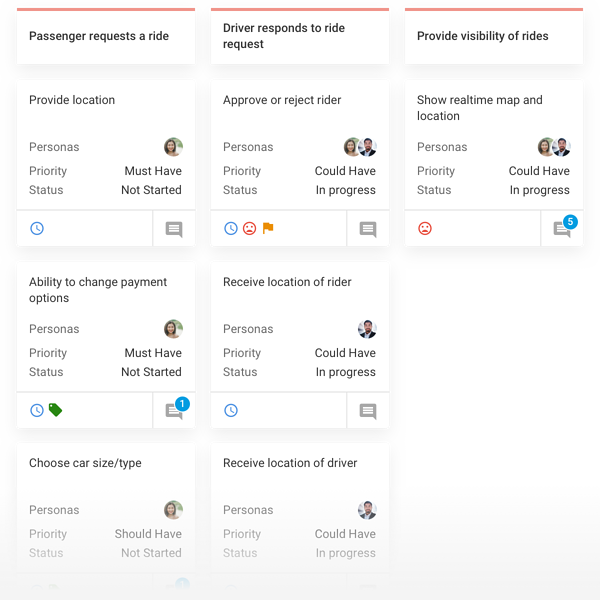 Create releases, map them to outcomes your users care about, and then identify the least number of stories you need to achieve those outcomes. 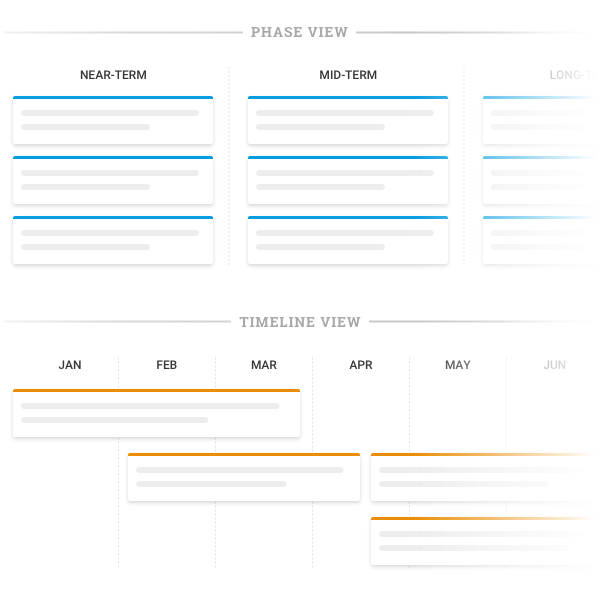 Don’t fall into the trap of building feature-based roadmap. Instead of outputs, focus on what outcomes you’re trying to achieve for your business, and on the people your product will serve. 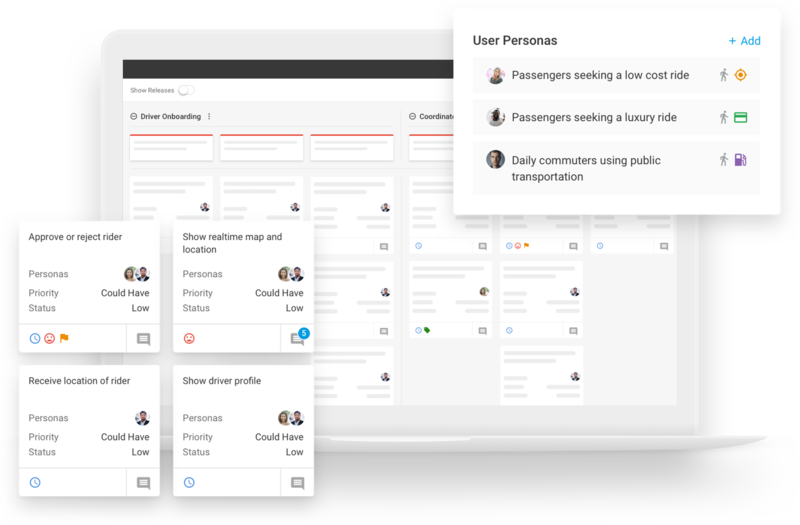 Choose between timeline or phase view and easily customize your roadmap for each stakeholder perspective. 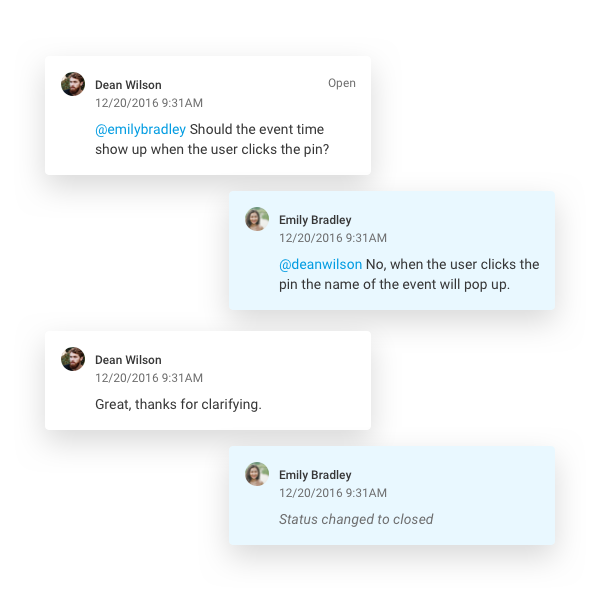 Rich commenting capabilities allow your teams to track feedback in one central location—no more dealing with lost feedback over emails and slack channels. 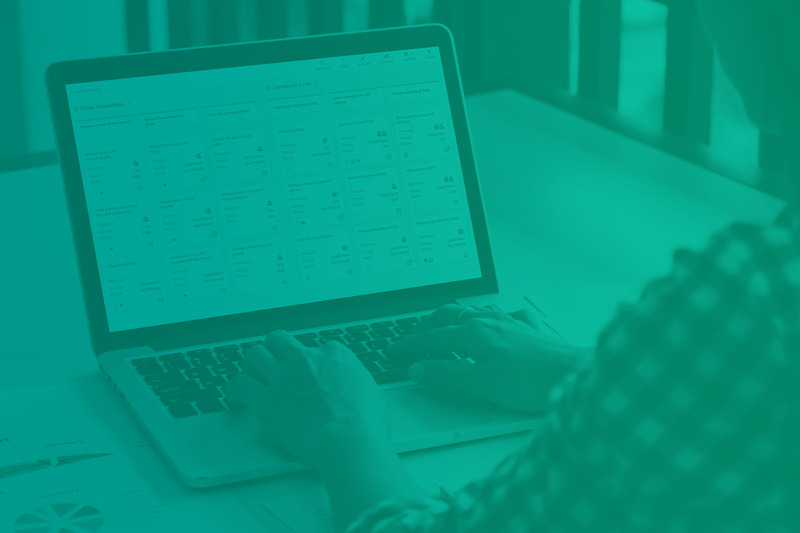 See a demo of the tools in the ProductStack Platform and how it can help manage your Digital Transformation efforts.